Counties Manukau are likely to have nightmares about their last two visits to the Bay Oval in Mount Maunganui, with Bay of Plenty players going on the rampage with both bat and ball on both occasions. 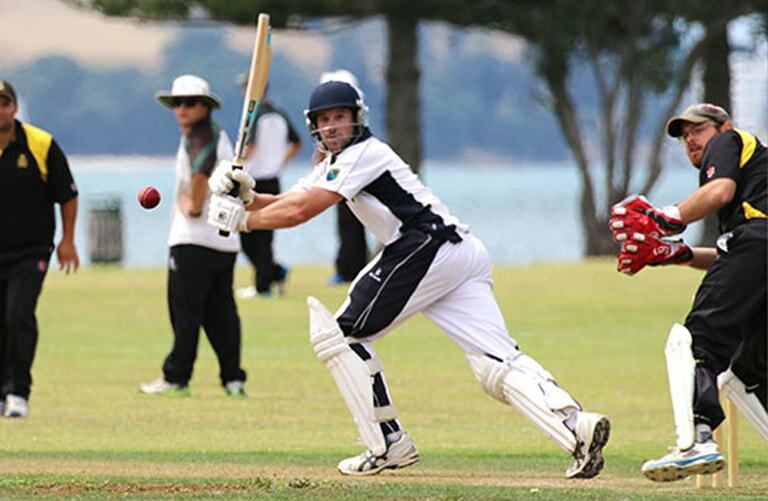 Their 2019 visit on the 16th - 17th February, to Bay of Plenty Cricket headquarters, produced three Bay of Plenty representative milestones and a bowling performance that had them on the back foot from the opening ball of the Fergus Hickey Rosebowl match. Counties Manukau were quickly ruing batting first, after winning the toss at the Bay Oval. The Bay of Plenty bowlers had the visitors in disarray, losing their first four wickets with just two runs on the board. At six down for 21 runs, Counties Manukau were in dire straits, however a ninth wicket stand that produced 89 runs, gave the visitors some respectability before they were removed for 143. Bay of Plenty bowling honours belonged to Chris Atkinson who captured the first three wickets and Cam Riley, who took three wickets for 33 runs. Riley was making his playing debut, after being selected for the Northland game that was eventually abandoned without a ball being bowled. However it was the Bay’s turn at bat, that produced three BOPCA all-time milestones to add to the history of Bay of Plenty representative cricket, that kicked off with the provinces first game in 1932. (There was no slow introduction to representative cricket, for the first Bay of Plenty team, who played South Auckland in a Hawke Cup Direct Challenge at Seddon Park in Hamilton). Batting at the top of the order, Peter Drysdale became just the third Bay of Plenty batsman to post 3000 runs, in his score of 94 runs. Bay of Plenty player number 498, RPO Drysdale, made his senior men’s team debut against Hamilton in the ND One-Day tournament on the 15th November 2009. The Fergus Hickey Rosebowl march against Counties Manukau was Pete’s 94th in the Bay uniform, in which he has hit 3079 runs and taken 21 wickets. The previous time that Counties Manukau came to play at the Bay Oval, in January 2017, they won the toss and put the home side in to bat - with disastrous consequences. Bay of Plenty blasted 701 in the Hawke Cup Direct Challenge, which equaled their previous record of the same score against Hamilton, when they took the Hawke Cup away from the Waikato side in 2013. Visiting Yorkshire professional Alex Lees, blasted the Bay of Plenty highest score with 223 runs, with Bay number eight Donovan Deeble belting his maiden representative century.